Hinner inte skriva mer inlägg ikväll så detta blir det sista, kommer en liten nedräkning. Hittade ny info om New Moon Casten, Brenna Lee Roth dotter till sångaren David Lee Roth. Hon ska ha bekräftat sin egen roll i New Moon,men inte vilken roll hon skulle spela. "Fans of the series will really love it, it’s spot on to the book. Way closer to the book than I think expected. Chris was a great director he really challenged me." "All I can say is that, NEW MOON is shot in the middle of nowhere! And fans still find the set and take pictures of every little thing. It’s crazy. The fans were great"
About the Quileute tribe, she says that "Wardrobe was good. Nailed exactly what I thought of when I was reading the book"
About preparing for the role: "I worked out a lot. I did boxing training, a lot of wire work on set, and I had to learn how to swing a sword while driving a motorcycle, I am pretty sweet at it but I doubt I could use that knowledge in everyday life"
Men detta kan inte vara sant?! Som ni kanske vet har filmen inte börjat filmas ännu, filmningen startar den 23 mars. Så detta var nog för att hon ville skapa sig lite uppmärksamhet! Men att hitta på sin egen roll?! Kan ni inte vänta tills Dvd:n kommer i affärerna?! Kolla då in klippet här under, det ska innehålla många borttagna scener som ska finnas på extra materialet. Vill ni vänta tills ni har Dvd:n i handen så vänta då att kolla på klippet. Nu är det äntligen helg igen! Idag efter skolan åkte mamma och jag o skulle köpa ett par skor till mig, men jag hittade inga jag ville ha. Det är inte så roligt att handla gympaskor, vill handla skor med hög klack (jag är kort) så får väll vänta till Lördag för då ska det shoppas! Kristen Stewart has brought an update for "The Twilight Saga's New Moon". In an interview with MoviesOnline, the "Twilight" beauty shared that the starting date for the shooting of the vampire drama sequel is close. In fact, she pointed on March 23 as the day the filming will be kicked off. "Very soon," Stewart responded on the shooting schedule's question. She then added more details, saying, "In a couple weeks. March 23rd I think is the first official day of shooting." Asked about what part she looks forward to shoot, the 18-year-old gushed, "It's a completely different story. It's like it entirely undermines the first. Edward is gone and, for me, that was the whole story." "It's hard for me to get past like...I don't know how Bella is going to deal with that," she continued explaining. "She matures a lot. It's a much more painful story than the first one. It's actually quite devastating. It's a smaller scale as well. She's very solitary for quite a while so that will be interesting. I'm excited about that." 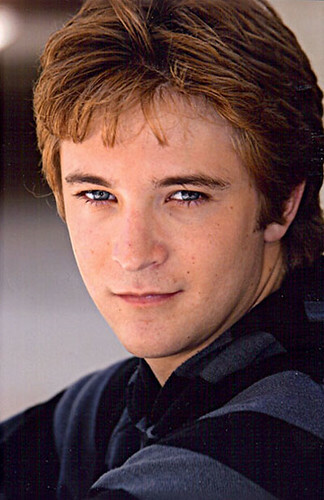 Här kommer lite kort fakta om Michael Welch som spelar Mike Newton.